You can watch highlights of Manchester United v Arsenal, and the nine other midweek Premier League games, on Match of the Day at 22:45 GMT on Wednesday on BBC One and the BBC Sport website. Old Trafford is the next test for Unai Emery’s exciting Arsenal side after their stunning win over Tottenham on Sunday, and it is not a trip that will hold any fears for them. The Gunners have only beaten Manchester United once in their own backyard in the Premier League since they won the title there in 2002, and even now they will not go there as favourites despite their 19-game unbeaten run. Crucially, though, Arsenal will believe they can win this time. Their players will be full of confidence – and so they should be with the form they are in. There are actually some similarities between Emery’s approach and that of United boss Jose Mourinho, who has also dropped big-name players and changed his formation to try to get his team firing. 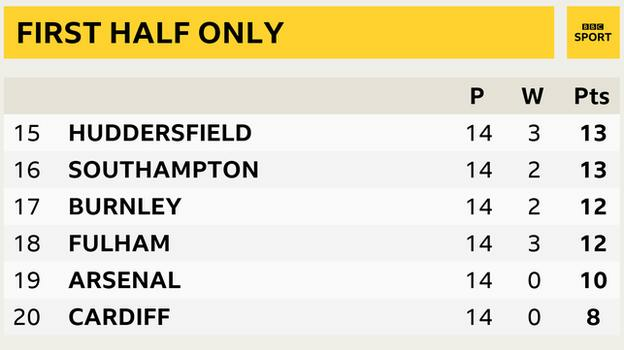 Emery is the only one of the two getting results at the moment, though, and the two teams appear to be heading in opposite directions. The biggest difference is the Arsenal players seem to be enjoying playing for their manager. It doesn’t look to me as if the United players particularly like playing for Mourinho, and that is being shown in their performances. Why? Well, he has been in charge since the summer of 2016 but when I watch United I don’t see a pattern of play or a system their players can identify with. I know they have had some injuries and Mourinho has had to change his team around but so has every other club, including Arsenal, and they have managed it. 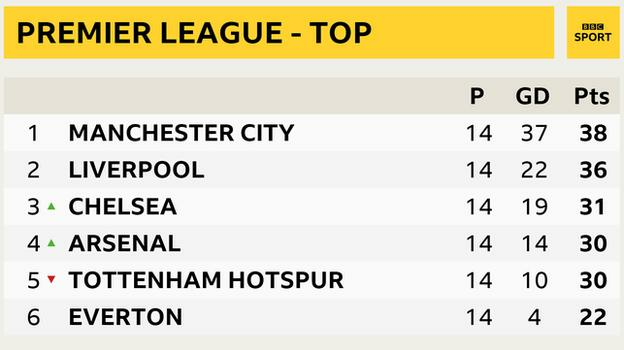 The Gunners had a tricky start to the season and lost their first two games, against Manchester City and Chelsea, but it is incredible the way they have bounced back to stay undefeated since then. Emery, who has only been at the club since May, deserves huge credit and he is squeezing every bit of ability out of his team, in every department. We saw at United when Sir Alex Ferguson left how difficult it is to replace a manager who has been at a club for such a long period of time, but Emery has got the club back on an even keel already after replacing Arsene Wenger. Since Emery arrived they have had a habit of turning games around in the second half and they did it yet again against Spurs. That in itself comes from the manager, not just in the way his players keep going because they are fit and mentally tough, but because of the way he changes things when they are not working. He did it brilliantly on Sunday. Alex Iwobi and Henrikh Mkhitaryan were ineffective in the first half so he brought on Aaron Ramsey and Alexandre Lacazette to stretch play with their runs behind the Spurs defence, and they sparked a brilliant comeback. In contrast to the way Arsenal are playing, United are nowhere near the level they could and should be at. Apart from maybe David de Gea in goal and Luke Shaw at left-back, you could not say any of their players are playing to their full potential. 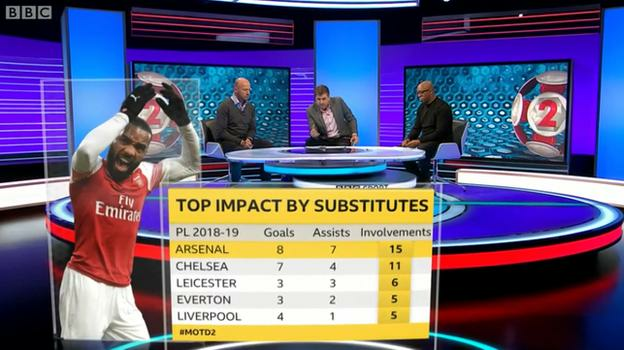 Compare that to Arsenal’s players like Pierre-Emerick Aubameyang and Lucas Torreira who are full of confidence, are at the top of their form and are helping their side get results. Just as Emery deserves praise for getting the most out of his squad, Mourinho needs to take responsibility for what is happening at United. It is the manager’s job to get the best out of his players and, at the moment, there is no way Mourinho is doing that. Not everything Mourinho has done this season is wrong, but he is getting criticism because of where United are in the Premier League table, and because his players are not playing to their maximum. His treatment of his players has come under scrutiny too, such as his reaction when Marcus Rashford missed a good chance in last week’s Champions League game against Young Boys. I did not have an issue with that because it is something that all managers do, whether it is a young kid or an experienced pro who has wasted an opportunity. Ferguson did it time and time again and I saw it from Liverpool boss Jurgen Klopp in their game against Everton on Sunday too. Sometimes young kids are protected too much, and Mourinho has the right to show he is unhappy when any of his players make a mistake – but what he says about them after games is more of a problem. He has dropped practically every outfield player, including his most expensive signings Paul Pogba and Romelu Lukaku, at some point this season to try to get things right. But the worrying thing for him must be that no matter what he has tried in the Premier League, we have seen nothing to suggest things are going to improve any time soon. Emery has also not been afraid to make some big calls, like dropping Mesut Ozil to the bench. For the Arsenal manager, though, his decisions are working out perfectly. Perhaps the only issue is what happens next with Ozil. I know the explanation is that he was not in the squad against Spurs because of a back injury, but I have my doubts about that. Emery left him on the bench against Bournemouth because he did not trust him and I would be very surprised if an injury was actually the reason he did not make the team against Tottenham, or did not even make it to the Emirates to watch the game. If Ozil is unhappy about being dropped, then it will be very interesting to see how that pans out. He is the highest-paid player at the club, but there is a question mark about whether his work ethic fits the intensity Emery demands from his team and, like every other Arsenal player, he has already been given the message that if he does not do what the manager wants, he will not get in the side. 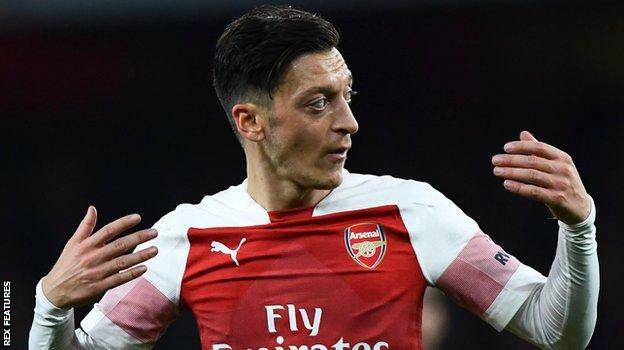 Ozil only signed his new contract in February but it is easier for Emery to leave him out and, if it comes to it, decide Arsenal are better off without him, because he was not in charge at the time that deal was done. The onus is on Ozil to fight his way back into the side and his team-mates, Emery, and the fans will be looking at him and saying ‘what have you got?’. But, even if he is fit to face United, there is no way he will start at Old Trafford – not after we have seen how Arsenal have done without him in the past 10 days. Alan Shearer was speaking to BBC Sport’s Chris Bevan.